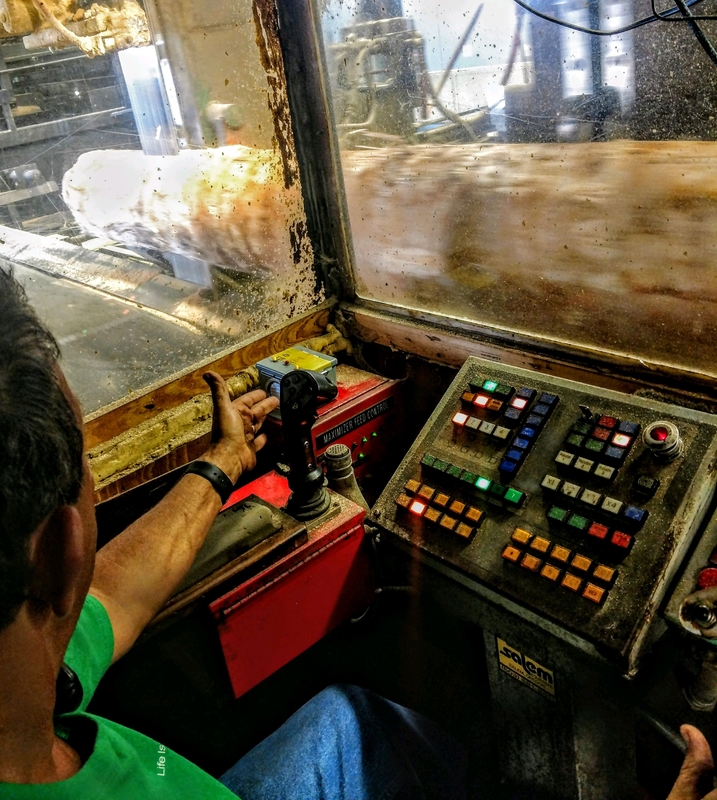 Aug. 30, 2018 - Saw Control Systems has announced a new hands-free sawing system. The sawyer heads the log towards the saw and the automatic control takes over. The sawyer is not required to have his hand on the joystick, but it is advisable to have it nearby. The entry speed is pre-set by depth-of-cut tables. As the log enters the cut, the saw control system adds speed to the carriage. If the least amount of snake occurs, the system reacts instantly by backing off the feed. As soon as the saw is stable again the feed returns to the established rate. The system was developed at Lampe & Malphrus Lumber Co. in Smithfield, N.C. They have had the basic joystick control on their hydraulic shotgun for 15 years. The saywer is still in control overall, the flick of the wrist drops auto feed controls out. It is also dropped out when he hits the auto return button on the control handle or manually reverses the carriage. The new control system is designed to help sawyers out-perform normal handle control. For more info see www.sawcontrol.com, search us on YouTube, or call the inventor Reid Smith at 208-691-1732.